Nobody is immune to the effects of burnout. From CEOs to athletes, corporate executives and even employees – everyone is likely to experience burnout at least once in their lifetime. There are several ways to determine if you are experiencing burnout. But before we dive into the different ways, let us first explain what burnout is. In simple terms, burnout can be described as a state of chronic stress that causes both physical and emotional exhaustion; cynicism and feelings of ineffectiveness and lack of accomplishment. While you cannot be diagnosed with burnout, the symptoms are quite similar to those with depression, anxiety or (as mentioned above) stress. So, how do you know if you are suffering from burnout? Listed below are five (5) ways to know if you are experiencing burnout. Burnout results from feeling overwhelmed, emotionally drained, and unable to meet constant demands. This could be at work, at home or in your business. Exhaustion: One of the most obvious signs of burnout is exhaustion. This could be physical, mental or both. You might find yourself losing excitement for things you like generally. You could also find yourself extremely tired even without any obvious stressor. Lack of productivity: This is another sign that something is wrong. Whenever you feel yourself not being able to hit your KPIs, even when all the circumstances are right, then you should definitely be worried that something is up. Lack of sleep: Insomnia is another sign of burnout. When you feel exhausted and still cannot sleep? Then you know something is wrong and should definitely get yourself checked out. 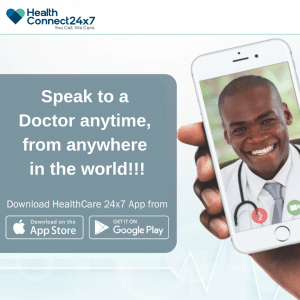 You can speak to any of our HealthConnect doctors 24/7 if you are having sleepless nights and you are unable to attribute it to anything. Loss of appetite: In the early stages of your burnout, you may realize you are not feeling hungry most of the time and as a result, skip a few meals. However, in the latter stages of your burnout, you may actually start losing weight because you could actually lose your appetite altogether. See a doctor before that happens. Depression and anxiety: This is all too common with people suffering from burnout. Anxiety or depression are very common symptoms. In some cases, a person suffering from burnout can experience both. It usually starts with mild symptoms of worry and tension. Then it progresses to something more serious. Conversely, feelings of sadness and guilt could also be felt during a very bad burnout. So, how do you deal with these symptoms of burnout? We discuss some tips in the following section. Before we dive into the tips to help you overcome burnout, you need to realize something – your burnout did not happen overnight and as a result, it cannot be reversed overnight. Tip 1 – Speak to a doctor: The first step towards recovering from your burnout is to speak to a doctor. A doctor can walk you through the various stressors in your life and identify ways to help you mitigate the chances of a reoccurrence by tracking your progress. Tip 2 – Learn to be assertive: One of the major causes of burnout is passive-aggression. Learn to say “no” to requests and situations that you are not happy with. At the end of the day, you need to be responsible for yourself and your well-being. Tip 3 – Unplug from everything: Everything means literally everything. Your devices, your work, your business, your social circles. You need to unplug from everything and everyone as much as you can. Tip 4 – Relax: What do you do after unplugging from everything? You need to relax. There are several ways for you to do that: sleeping, meditating, exercise, yoga etc. Look for what works best for you and stick with it. The key is to ensure you feel relaxed and ready to jump back into the grind. Tip 5 – Delegate: Not all tasks should be handled by you. Whenever you are faced with such a task, just delegate it to someone else. This doesn’t just only help you focus on more important tasks, it also helps you be more productive. Tip 6 – Surround yourself with a support system: Another strategy that can help you overcome a burnout is to simply talk about it. This could be with friends and family – or with a non-judgmental support group that will listen to you and offers constructive advice on how to deal with your situation. In conclusion, it is best to pay more attention to some of the stressors listed above and look for ways to avoid them. Additionally, while the tips outlined will help you overcome a burnout, the most important thing is to take things easy and avoid having a burnout in the first place. And when you realize that you do have burnout – speak to a doctor immediately! Our doctors are available 24/7 via our toll-free number – 08000HEALTH (08000432584) or download our mobile app for free. Did you find this article helpful? Please share it with your friends on social media. A graduate of Kharkov National Medical University, with an interest in Gastroenterology, Clinical Research, and Epidemiology.